It's almost Wednesday--and time for our weekly Wordless Wednesday link-up! This week, we would like to feature Miss Elsa the Cat.....and her new dog bed. Uh. Yeah. That's how things seem to go around here. Oh, well...at least Elsa loves her new...dog....um...pet bed, right? 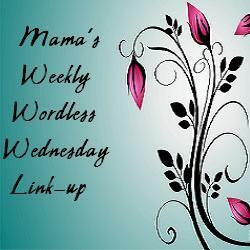 Enjoy your week--and don't forget to link up and share your latest Wordless Wednesday posts! He is just the best dog. I didn't go to the animal shelter expecting to bring home a floppy eared hound...but, I don't think our home will ever be complete without one in the future. The cats don't always like him much--but, he loves them anyway! Awww, pets are so precious. Especially after seeing that video of the hero cat the other day and seeing the follow-up story on Create With Joy's blog. I've shown everyone the hero cat video~ I love it! I think only one of our four cats would do that--but, she would go in with a vengeance! That is cute! Have a terrific day. 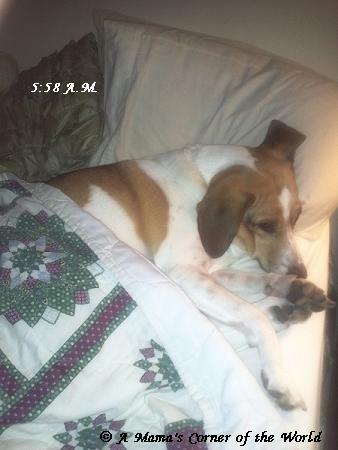 He has a few "chicken" genes mixed in with his hound blooodline....lol...he rarely "rocks the boat" around here! We once had a huge, white cat that was abandoned when an elderly neighbor passed away. He (Sal E. Cat) adopted us--and died too soon. When we saw Elsa--we had to adopt her! and sharing your photo. I hope to see you again next week! I was laughing so hard because we have a similar bed situation. Our dog loves it in the day but only wants to sleep with us at night. I live how critters work things out. I love this post! I'm following you now. Funny the way that works right!? I have a great dane who prefers the our chihuahuas bed over his own. The chihuahua is perfectly fine with it because he gets the big bed all to himself! LOL Glad to have found you!